We had our annual picnic today with a wonderful crowd of about 150 and wonderful weather. Just ideal. We had a huge crowd tonight but managed to get everybody in, even those without passes. 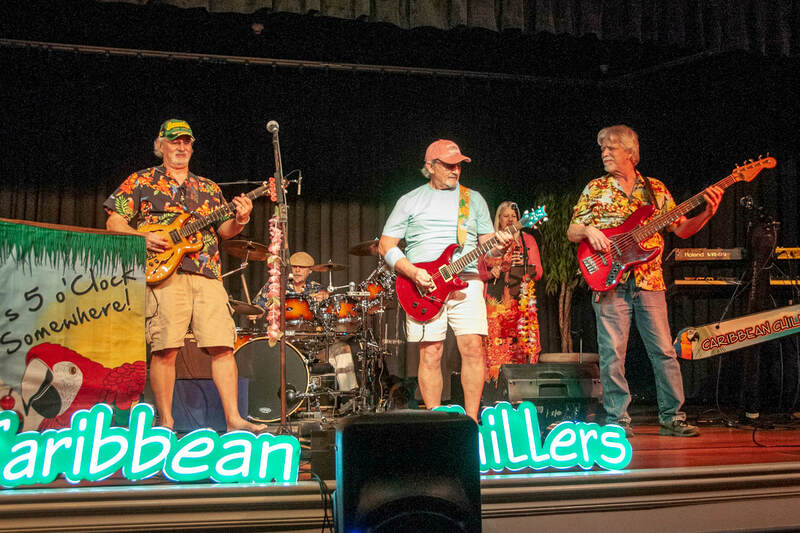 What a fun evening listening to and singing along with the Caribbean Chillers (sixth picture). We welcomed 27 new members (first 5 pictures). It was a fabulous night! 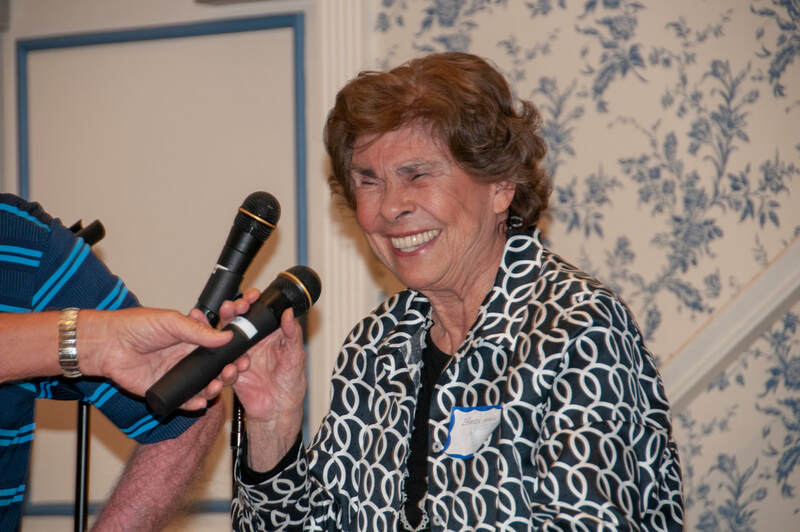 Fabulous meeting with 17 new members (first 9 pictures) and a wonderful night of singing with Mary Jo Vitale and Clark Barrios (10th picture). These two are awesome and sent chills up our spines with their talent. We had a great meeting tonight, welcoming 22 new members (first 4 pictures) and rocking’ to the tunes of Forever Young (5th picture). They had us dancing in the aisles or whoever we could find an empty space. What a great group! 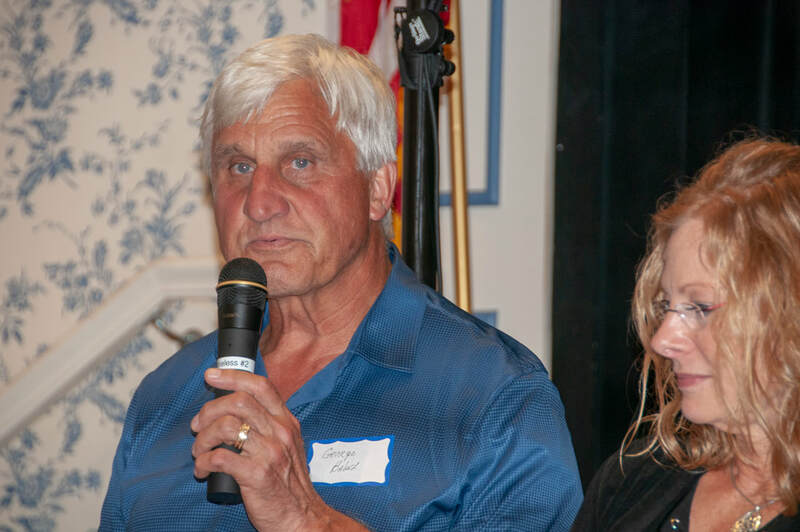 Thanks go out to board members Mike & Judy Maguire for MC’ing tonights meeting. On November 9 we held our annual ‘Ole & Lena’ golf scramble at Continental Golf Club. 48 or our members (lower right) took part under the watchful eye of board member Joey Hodgson (lower left). Everyone had a great time and prizes were awarded to many of the participants. A delicious lunch of tacos with all the fixings rounded out the fun day. Everybody is anxious to play again next year. We had a rousing first meeting of the 2018/2019 season where we welcomed 32 new members (see pictures below). We were entertained by the comedy team of Howard & Rose (middle right)who related many extremely funny anecdotes from their lives that everyone in the audience could probably relate to. 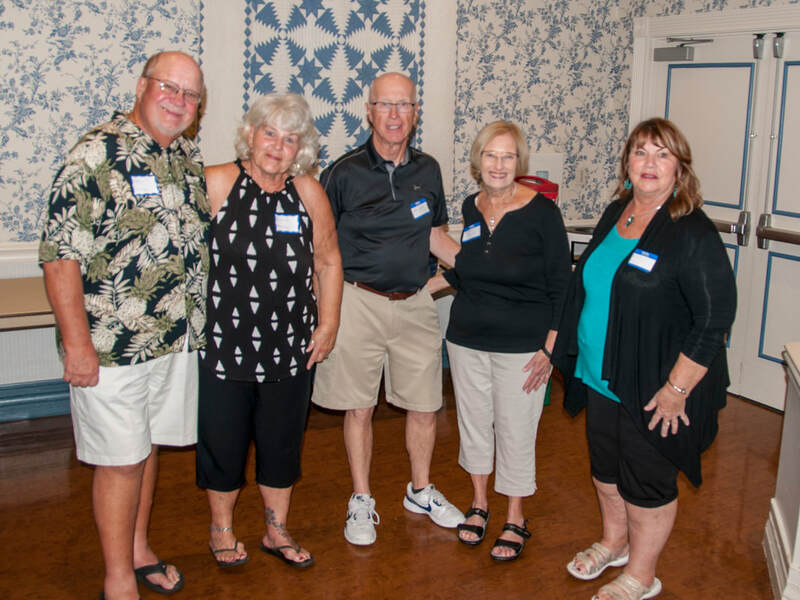 Then there was a record-breaking 50/50 run so efficiently by Tony & Diana DeGroot with one of our lucky winners, Tom & Betty Dewitz,(bottom left & right). We’re off to a great start of the season with many more fun things to come. 16 for our 9th annual season-ending picnic. We ate hamburgers and brats and all the other picnic kind of stuff catered by LaHacienda and it was yummy. 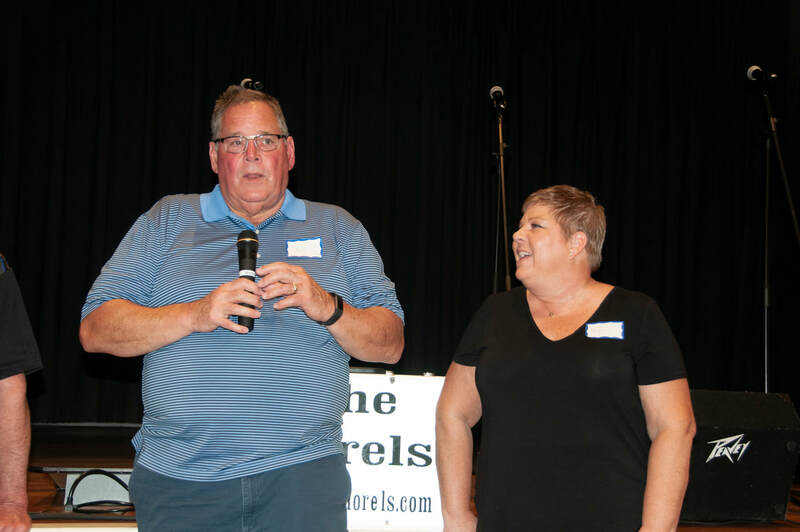 Here’s Marcy, Bob & Joey calling out raffle tickets for the ‘fabulous’ cash prizes that were awarded to 30 lucky attendees. The crowd was hushed and anxious waiting for their number to be called. 33 Club members braved the mighty seas of the Gulf of Mexico on our first club cruise. We met at our local travel agent’s office and bused to Tampa where we boarded the Brilliance of the Seas Royal Caribbean. That’s our ship on the left. We sailed to Grand Cayman, then to Cozumel, then back to Tampa for 5 days. Oh, by the way, when I said earlier that we braved the mighty seas, I exaggerated a bit. The seas were very calm the whole way. We had a great cruise with some wonderful people who are all pictured on the right. We had a good crowd tailgating and golfing at our annual Night Golf outing on March 6 at Saddlebrook. The food was delicious and detracted us from worrying about whether it would rain or not. We did get a few sprinkles but not enough to stop us from having a good time. The picture on the left shows us all enjoying a tailgating feast and the picture on the right is of the 1st place group who shot a score of 26. Amazing! 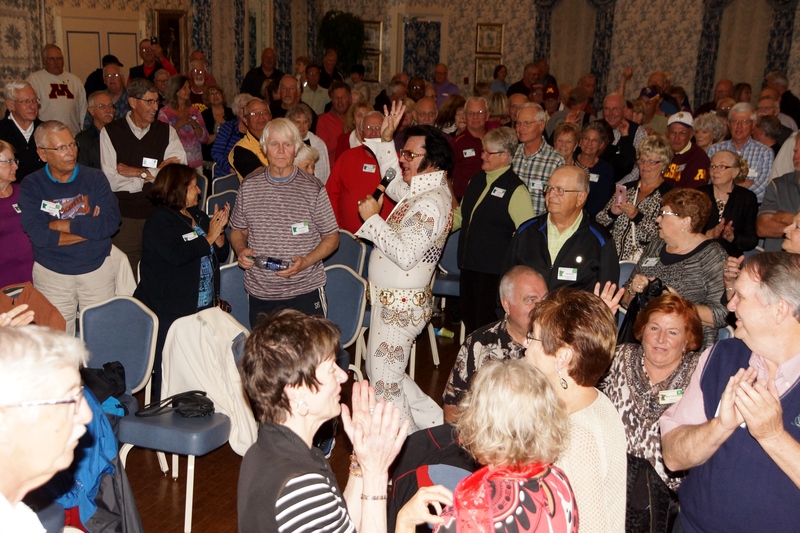 While some of us were on our first MN Club Cruise, most other members (picture on upper left) were enjoying the Rockin’ Pianos (picture on lower right) at our meeting at Laurel Manor. We welcomed 15 new members (picture on upper right) and everyone, by all reports, had a great time. Joey Hodgson did a super job as MC and active participant in the evening’s fun (on the left in the picture on the lower left). Our Decesmber meeting was spectacular all the way around. 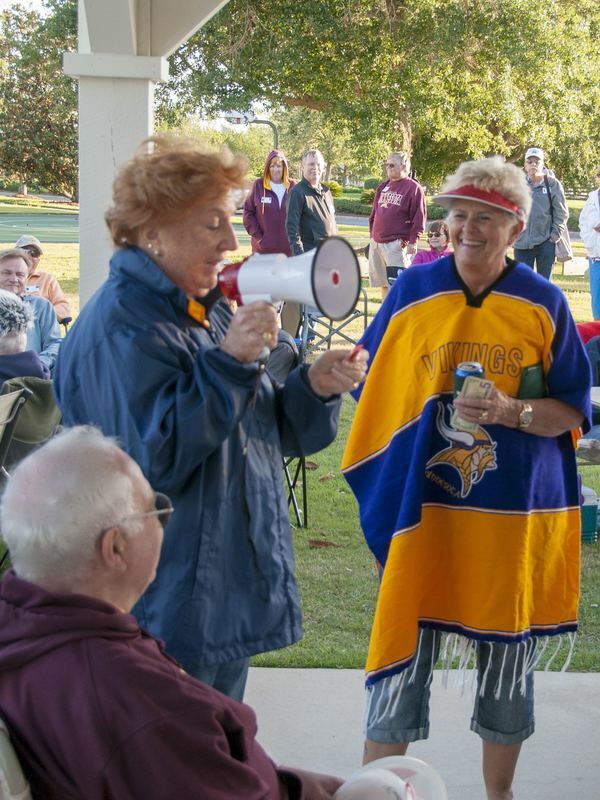 We welcomed 13 new members (shown on left) bringing our total membership to 682 and were fabulously entertained by Mary Jo Vitale (shown on right singing a duet with Santa board member Jerry Larson). We can’t say enough about Mary Jo. She put on a wonderful show and we’d welcome her back anytime. What a great meeting! 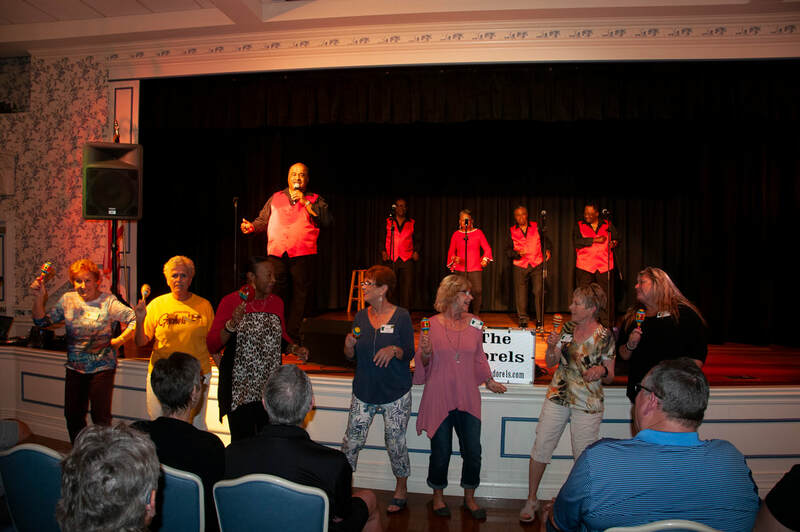 A huge crowd of us welcomed 15 new members (above left) and we all enjoyed a rousing evening of great songs and music provided by ‘Divas Through the Decades’. Tamula Browning sang all the Divas classics accompanied by Carl Lewis on the saxophone and flute. They were great! Our Vikings are hot! A great crowd of about 65 fans gathered at City Fire in Brownwood to cheer our team on to victory against the Rams. We’re playing again on Thanksgiving day, but we’re meeting again at City Fire to watch the Vikes post their next victory against the Falcons on December 3. Skol Vikings! We held our annual ‘Ole & Lena’ golf scramble on November 10, 2017 at Continental Country Club. 48 superb golfers teed it up at 8 AM, had a great round of golf and enjoyed a wonderful taco lunch in the clubhouse after. Many thanks to Joey Hodgson for organizing this event and MC’ing the awarding of ‘huge’ cash prizes for the winners. Our first meeting of the 2017/2018 season was a big hit with about 275 returning Minnesotans and 27 newcomers who joined the club (pictured above right) welcomed by Marcy Solomonson. 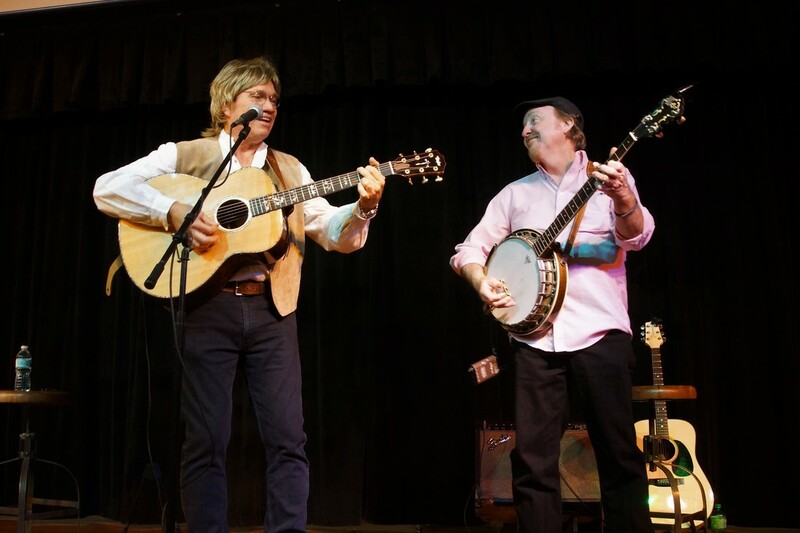 Then Mike Maguire introduced our entertainment for the evening; Dr. Carl Bennett Who looked and sounded very much like John Denver and accompanied by Forrest Rogers. Everyone had a ball singing along to all our favorites. It was FAR OUT! On Monday, March 27, 50 of us had very enjoyable day touring the Gypsy Gold Horse Farm. We heard about the history of these fantastic horses and how they were bred especially to pull the Gypsy wagons in Europe. After an entertaining talk by the owner of the farm, we got to walk the grounds and meet the horses, including a 3 week old filly who was as cute as could be. After the tour, some of us met at Sonny’s BBQ for lunch. Yum! What a fun night. 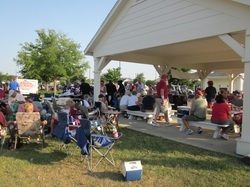 We had a nice crowd enjoying the music of Bobby Tate who gave us everything from country to the Electric Slide. 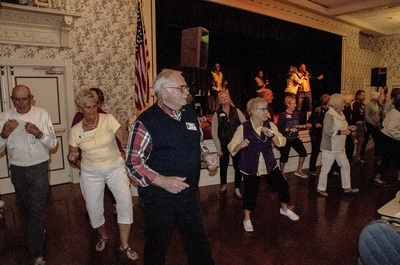 It was great seeing so many members up and dancing. We also welcomed 5 new members to the club bringing our total to 784. And we had many sign up for the PICNIC next month which will mark the end of our 8th season as a club. It’s been a good ride! What a fantastic night! A great crowd of one 350 and a great night of entertainment with Georgianne Hill as ‘Cher’ and Mike Wally Walter as ‘Don Rickles’. Upper left is ‘Cher’ with Woody Glass. Upper right is ‘Cher’ with Orv Askeland. Then there’s Cher out in the crowd and ‘Don’ insulting some of our members. He was hilarious. We welcomed 14 new members and everyone had a wonderful night. 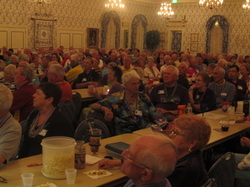 We had a tremendous crowd to play Bingo. We also welcomed 22 new members to our club. They’re pictured above. Everyone was thrilled when we announced the first Bingo winner would receive $100. The same prize was given to subsequent winners until the cover-all when $150 was awarded. WOW! 50/50 was also a big hit with many happy winners. Thanks to everyone for attending and making this such a memorable evening. What an evening! Clark Barrios and Cathy Merkel are such excellent performers that it's almost impossible to describe how good they are. They thrilled us with songs of all types, including many Christmas tunes. Even including 'Sherry Baby' with Clark doing his famous impression of Frankie Valli. We loved this show! 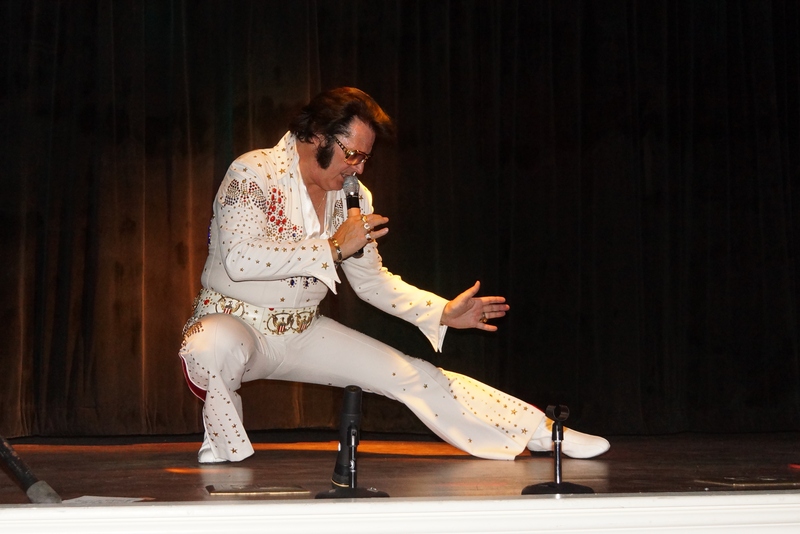 We shook, rattled, and rolled to Minnesota native Chris Olson, as he entertained us royally as the King, Elvis! We had one of our biggest crowds and everyone had a terrific time. So much fun! We had fewer people at the scramble than past years, but just as much fun! We tried a new course, Continental Country Club in Wildwood and everyone seemed to enjoy it. 52 of our 'best' golfers took part and shared afterwards in a nice lunch and some cash prizes. Everybody loves lunch and cash!! We'll be looking forward to next years scramble and another opportunity to have fun with fellow Minnesotans. What a great way to start our 2016/2017 season. About 240 members, enthused about our Vikings win streak, packed the house and welcomed 26 new members (middle picture)to the club. 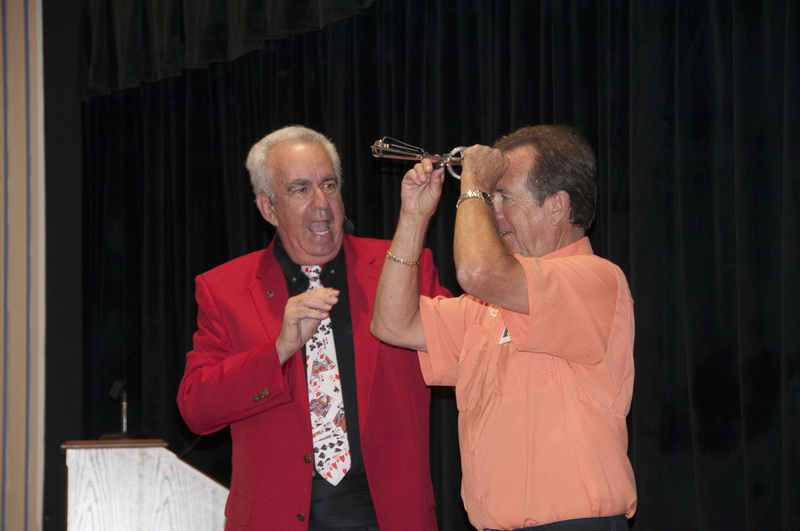 We were heartily entertained by Wally Libenson who amazed and tickled us with his magic and humor. Fun night! What a great day, both weatherize, and fun-wise for the 189 Minnesota Club members who met for our annual end-of-season picnic at Laurel Manor Pavillion. In past years, we’ve had excessive heat, rain, and yes, some good weather, but this year was something special. We had Oakwood Grill cater again this year and everyone agreed that it was a super meal (and we had plenty of everything). 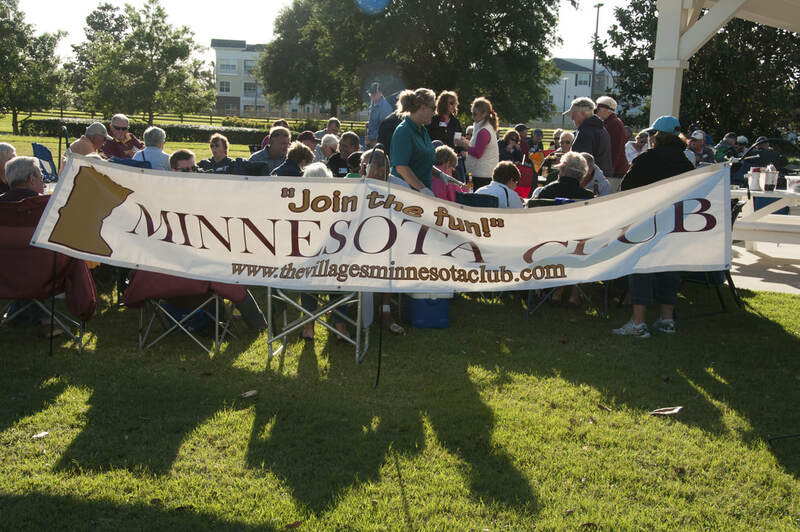 Here’s hoping that you all have a great summer and we’ll see you in October for another year of fun with the MINNESOTA CLUB. We had 76 golfing Minnesotans out for Night Golf on the 3rd of March. Everyone had a great time beforehand sampling hardy fare at our tailgating party and then had a fun time taming Saddlebrook with lighted golf balls and flags. Here are a couple pictures of some of our winners. On the left, winners with one of the low scores on the course, and on the right, the three gentlemen who each scored an ace on the putting green contest. Congrats to all the winners and all of the participants. It was a great evening! What a blast! And what a crowd! 300 of us howled at Homer Noodleman and his terrific act. What a showman. He did one-liners, impressions, ventriloquism,skits, instruments, singing. You name it, he did it, and did it well. Practically everyone commented on what a great show it was. We also were pleased to welcome 26 new members to make our numbers swell to 735. Welcome to all of you. 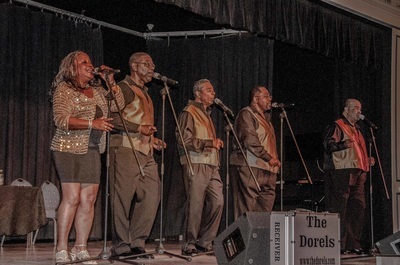 Another terrific night of entertainment was enjoyed by over 250 club members listening to the beautiful voice of Lori Gill and the beautiful music of The Notebenders. What a fantastic group! We listened to and sang along with many great Christmas songs and danced to a wide variety of other great classic songs and a surprise visit from ‘Elfish’ - an elf-like santa and Elvis combined. Thanks to the group and thanks to all our attendees. A great prelude to Christmas. Also thanks to Bobbi Yush and Lake Nissan for their contribution to help us bring such quality entertainment to the Club. Wow! What a night! Almost 300 of us were thoroughly entertained by Ty and Chris (The Rockin’ Pianos and their dueling pianos show). They had all of us singing, dancing and making fools of ourselves the whole evening. We also had a wonderful response to our request for gifts for the Sozo Kids and many of us had our pictures taken with Santa and Mrs. Claus. I think all of us would agree that this was one of the best evenings we’ve had at the Club. Thanks to Chris and Ty. GO VIKINGS!!! This was the cheer heard all around Honest John’s at Sumter Landing as the Vikings defeated the Rams in overtime. This was the third Sunday that around 100 MN club members gathered to ensure a Vikings win and we thoroughly enjoyed $1 beers and great chicken wings and even watched the game most of the time. Another great event! 76 hardy Minnesota golfers took to the Links at Spruce Creek for our annual ‘Ole & Lena’ golf scramble. After a rousing round of golf we all gathered in the clubhouse for ‘a little lunch’. And, of course, the awarding of ‘FABULOUS’ prizes followed that. We had a little weather this year, so we had to move indoors. Just lucky we have that option. A great time was had by all and everyone was looking forward to a great summer. Oakwood was a little disappointing this year, but still very good. We’ll shape them up for next year. At our February meeting, over 300 Minnesotans were entertained by Mark Stone, the Mentalist, and his amazing abilities as a mind-reader. None of us could figure out how he could do what he did. What a show! We also welcomed 19 new people to the club bringing our total to 863 members. WOW! After many inquiries about taking a bus to the Citrus Bowl in Orlando, we decided to go for it. We filled a bus in about 4 hours and 60 of made the trip. It was a great day, with beautiful weather and fun times. One thing that would have made it even better was if the Gophers had won. Maybe next year! 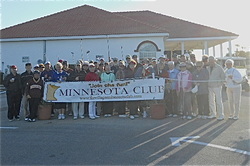 80 hearty Minnesotans gathered at The Links golf course for our annual ‘Ole & Lena’ golf scramble. It was a perfect day, weather-wise and everyone had a great time. After golf, we all had a great lunch in the clubhouse and prizes were awarded. The winning team had a score of 10 under par. Wow! This is such a fun event and everyone seemed to agree that they couldn’t wait till next year to do it all over again. 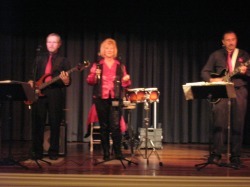 We started our 2014/2015 season off on October 20, with a terrific night of fun and the wonderful songs of Suzie Casta. 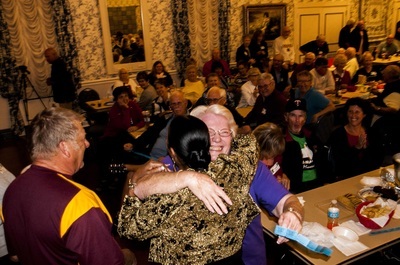 A huge crowd of Minnesotans really got into the spirit of things singing and dancing along with Suzie. What a great evening and a great start to our new year. 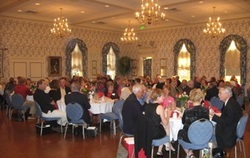 On April 21, we held our fifth annual season-ending picnic at the Pavillion outside Laurel Manor. 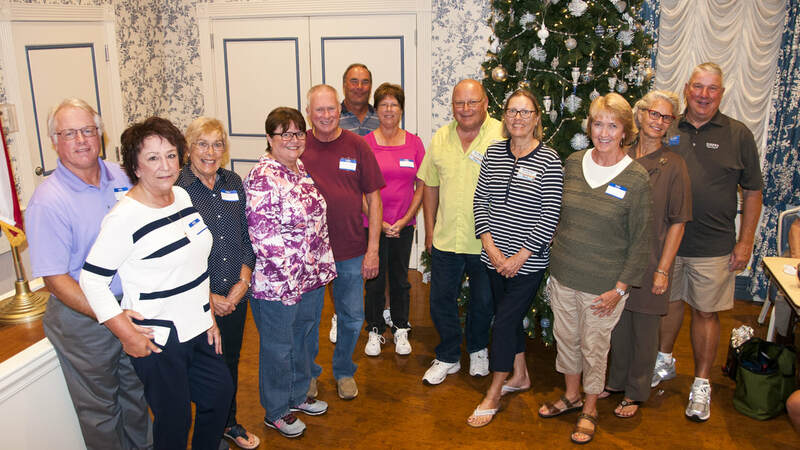 224 enthusiastic members joined the board, pictured here, for a fun day of fellowship and good food. The fellowship was thanks to all the great Minnesota attendees, and the food was thanks to Oakwood, who catered our picnic for the fifth time so successfully. Attendees not only had a great meal but many also won 50/50 money and the chance to win thousands from the many scratch-off lottery tickets that were drawn for. A great farewell party until we meet again in the Fall. Have a great summer. Our meeting of February 17, was a fun night of game playing. 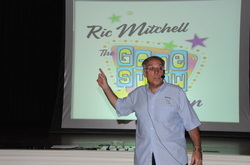 It was hosted by Ric Mitchell. the Game Show Man. He has a computer run program which enables him to not only have trivia games which the whole audience can participate in, but also popular games like Jeopardy and Wheel of Fortune which he played with audience volunteers while the rest of us watched and enjoyed. It was a great evening. What a show we had for our meeting on the 29th. 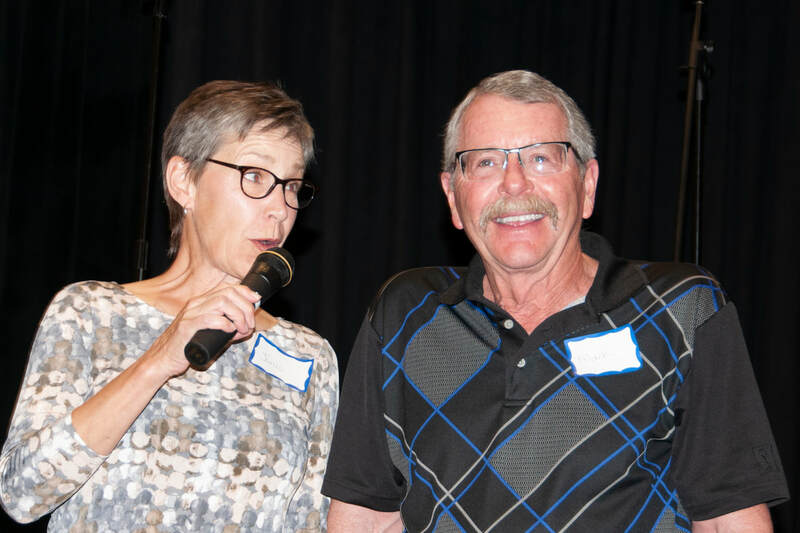 Dunning Shaw and Donna Moore had a huge crowd of 365 of us rolling in the aisles with their crazy impersonations and huge talent. 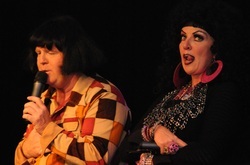 In these pictures they gave hilarious spoofs of Sonny and Cher, Dolly Parton and Elvis. It was hard to know which pictures to include in our Gallery ‘cuz there were so many good ones, but had to show you some of the best. We had a full house to listen to the wonderful Christmas music of MaryJo Vitale and Josh Leggitt. They were terrific! Everyone was in the Christmas spirit all decked out in red and ready for anything. We shared cookies and even joined in on a couple of standard songs. 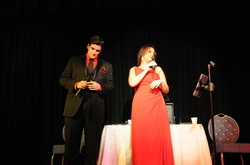 Thanks so much to MaryJo, Josh, and Dr. Vitale for another great Christmas show. 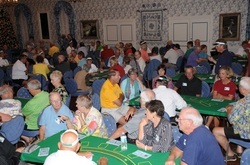 Our casino night was a big hit. Members had a fun time gambling with 'funny' money with those big winners taking home some nice prizes. Shazam did a great job running the event and Bobbi Yush of Lake Nissan not only represented her dealership as a sponsor of the evening, but also dealt a table of poker for us as well. Thanks for all our volunteer dealers and all those who helped make it a fun night. Sure, it was a little chilly first thing, but it warmed into a wonderful sunny day for golf at the Links of Spruce Creek on Friday, 11/8. 72 hardy Minnesotans/Villagers had a great day of golf and fun and took home a great golf towel gift and a bunch of cash prizes along with enjoying a terrific lunch. All in all, a super day. Thanks to all who planned and participated. Tonight, we welcomed these 42 new members to our club. This brings our total number of members to a whopping 691. Wow! Way to go Minnesotans. We had a great turnout for our first meeting of the year. We tried something new with 'mingle' time. We imagined the room as an outline of Minnesota and gathered in that section of the room (state) that we were from and just chatted with each other for 15 minutes or so. Fun! At our first meeting, we were entertained by magician/ventriloquist Mike Palma. Here he is enlisting the help of one of our unsuspecting members to help him with a trick. 185 happy Minnesota picnickers enjoyed a fine day at the Pavillion at Laurel Manor when we held our annual picnic catered by Oakwood. Ribs, chicken, cole slaw, beans, rolls, and cookies were heartily devoured by our famished club members. Prodigious amounts of cash were awarded to lucky lottery winners and a good day was had by all. Thanks for a great ending to another successful season of the Minnesota Club. 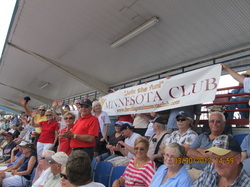 Another fun day was had by a busload of loyal Twins fans when we traveled to Ft. Myers to see the Twins play the Yankees. It was warm and overcast which made for a perfect day at the ballpark. The Twins lost but it was a good game, and we were able to cheer for Twins stars Joe Mauer and Justin Morneau. Here's a few pictures from the game. 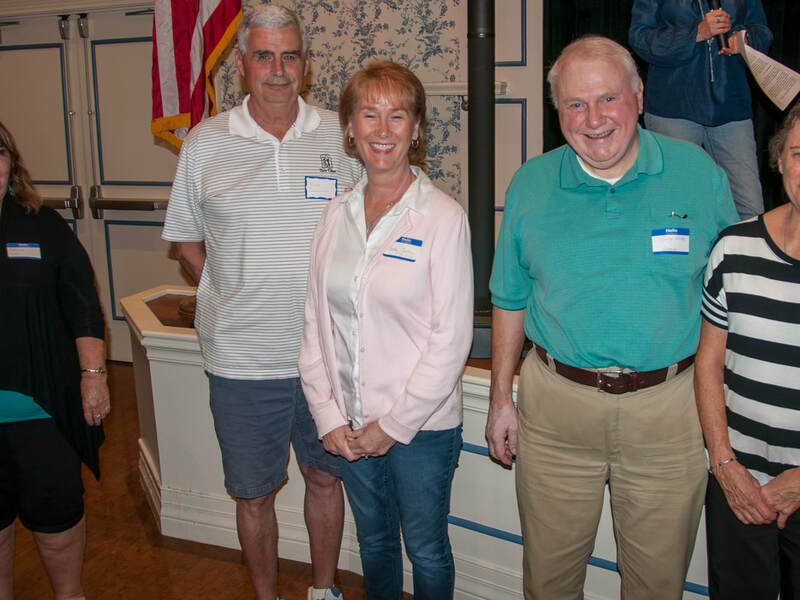 Our March meeting was held on Friday, the 15th, rather than on our regular day because of the competition from St. Patrick's Day in The Villages. We had a rip-roaring time being entertained by Petrina. She really had us Minnesotans rocking. What a fabulous entertainer. Our first sock hop was a great success. Not a huge crowd, but a great one, and everybody had a wonderful time dancing to the tunes of DJ Bob Fowler. Woody added to the Elvis theme with a great costume, and many others joined the fun by dressing up, or down, I guess, in their 50's garb. We had a dance contest, a bubble blowing contest, a trivia challenge, and prizes for best 'dressed' and best 'Elvis'. A great evening. Our January meeting brought in a huge crowd to enjoy the fantastic Billie Thatcher and the wonderful Red Garter Jazz Band. What a night! Everybody was tapping their feet, and some brave souls even got up to dance, especially when the band departed from their normal fare and played a rousing version of Beer Barrel Polka. As a club, we passed another milestone by presenting a certificate to our 600th new member, Mr. Stan Hortness. But we didn't stop with Stan, we added another 27 new members, so our number is now at 627. WOW! We held our third annual golf scramble on Friday, November 9, at The Links of Spruce Creek golf course. 72 brave souls got together at 7:30 AM in 39 degree weather, but it didn't seem to stifle their enthusiasm much at all. It warmed up quickly and turned out to be a beautiful day for golf. Most of us had a good round and then enjoyed a good lunch at the club. Cash prizes were awarded and each person received a gift from the club of a golf package with our club name on golf balls, tees, & Markers. 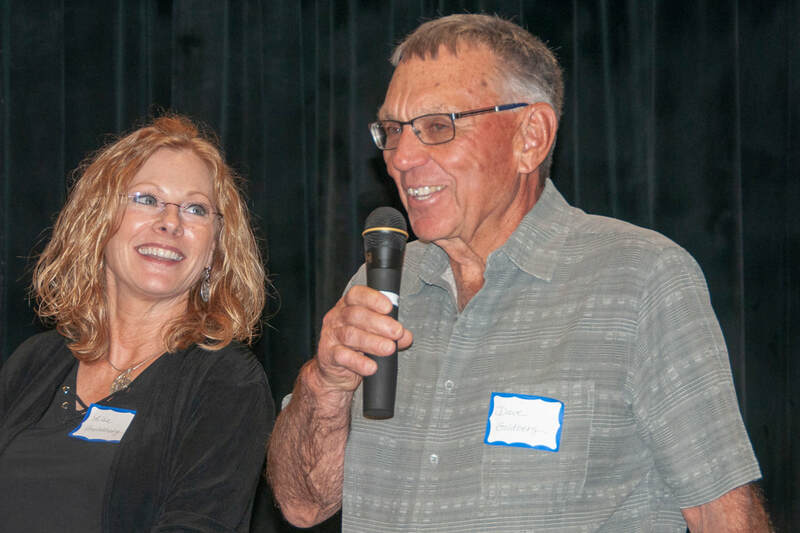 Many thanks to Bob & Denese Kruse for organizing this event and to Wayne & Suzanne Guttsen for volunteering to collect & organize the scorecards. 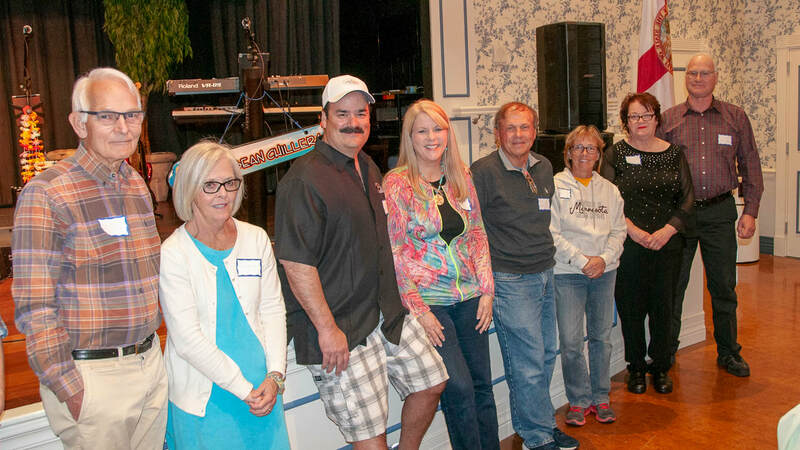 We held our third annual season-ending picnic on Monday, April 16, at Laurel Manor. 211 hardy souls braved the gorgeous weather and had a ball. 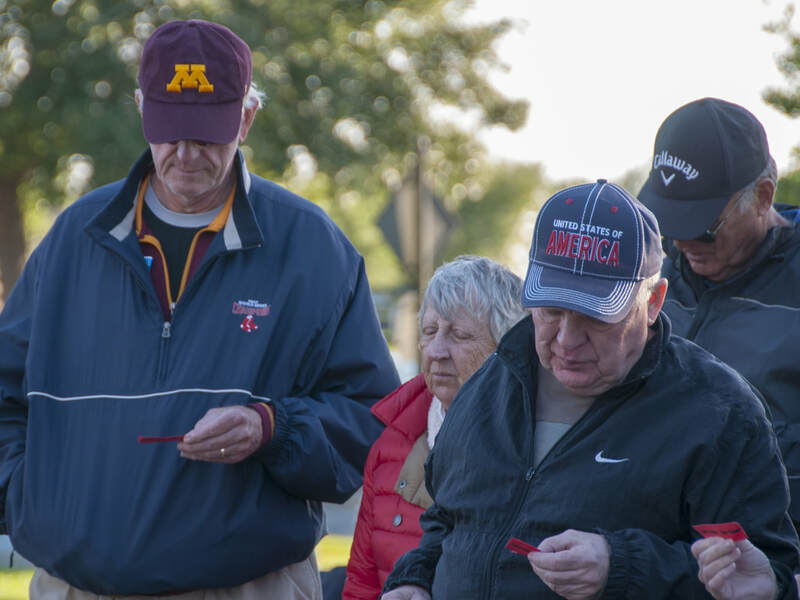 We had great conversations, great food from Oakwood, a wet and wonderful water balloon toss, and many participants went home a little richer from the many cash prizes awarded to many lucky Minnesotans. We'll see you all in October when we start our 2012-2013 season. Thanks for a great year! 104 loyal Twins fans from the club made the trip down to Dunedin to witness a 4-1 win over the Toronto Blue Jays on Friday, March 30. We had a wonderful day and sat in the shade which was a vast improvement over last year when we cooked in the sun. We stopped at the Pizza Villa again after the game and had another great meal. A good time was had by all. Maybe next year we'll make the trip to Ft. Myers and watch the Twins A-team play. 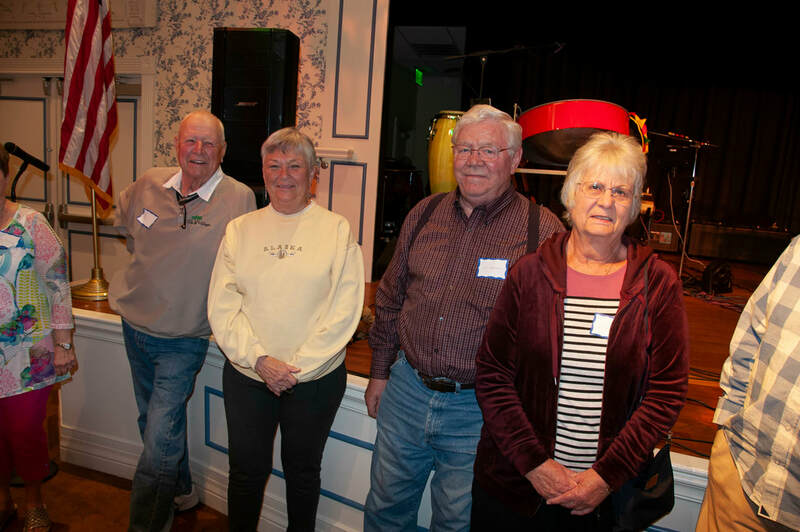 We held our third annual Sweetheart Ball on February 18, and everyone had a marvelous time enjoying the food catered by LaHacienda, the dancing to the tunes of Cool Breeze, and the company of fellow Minnesotans. Our meeting of January 16 showcased M&M Productions presentation of 'Eat, Drink, and be Murdered'. A murder mystery where our audience was asked to deduce, at the end of the show, who had committed the murder. 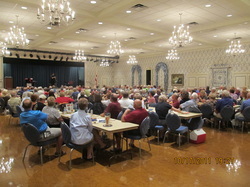 As you can see by the photo, we had a terrific large crowd in attendance and everyone had a great time enjoying the show. 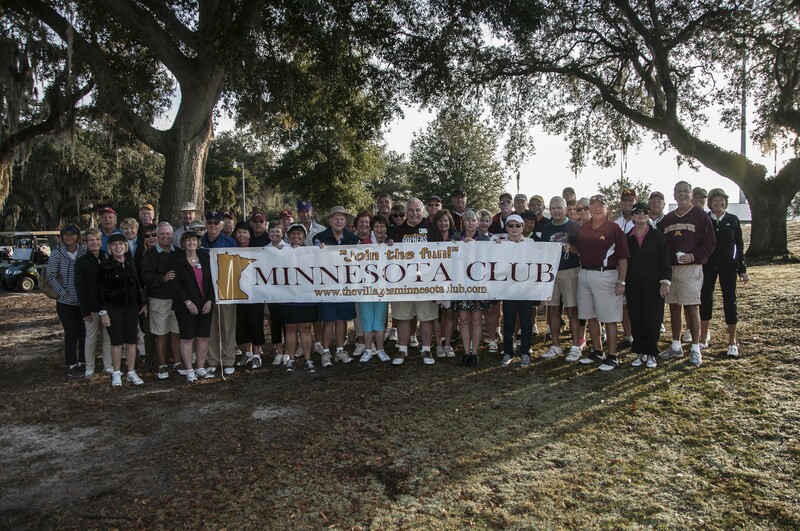 Our third annual golf scramble was held on November 11 at the Spruce Creek Links course. It was a little chilly, but not near as bad as last year. Everyone had a great time and enjoyed the lunch and prizes after golfing. Here we are, ready to go, in back of our new club banner. 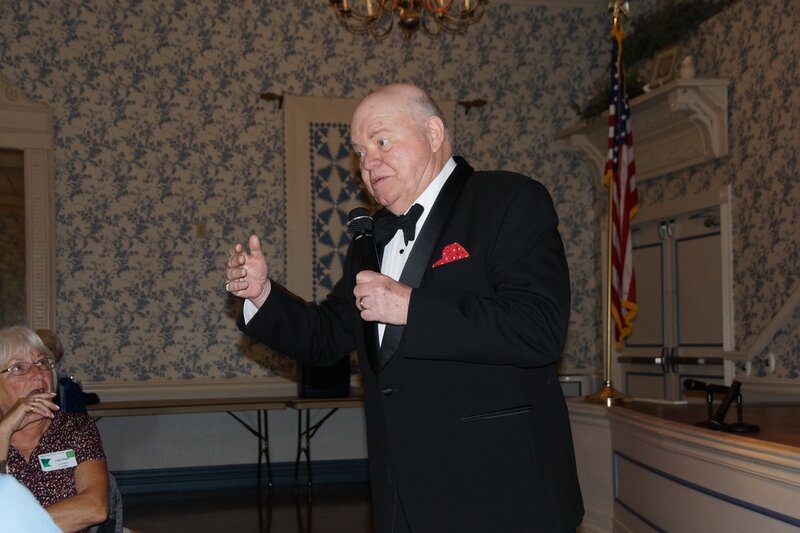 Our October meeting, on the 17th, had us entertained by David Berardi, a clever and funny magician. We had a good crowd, as you can see, and everyone had a good time. 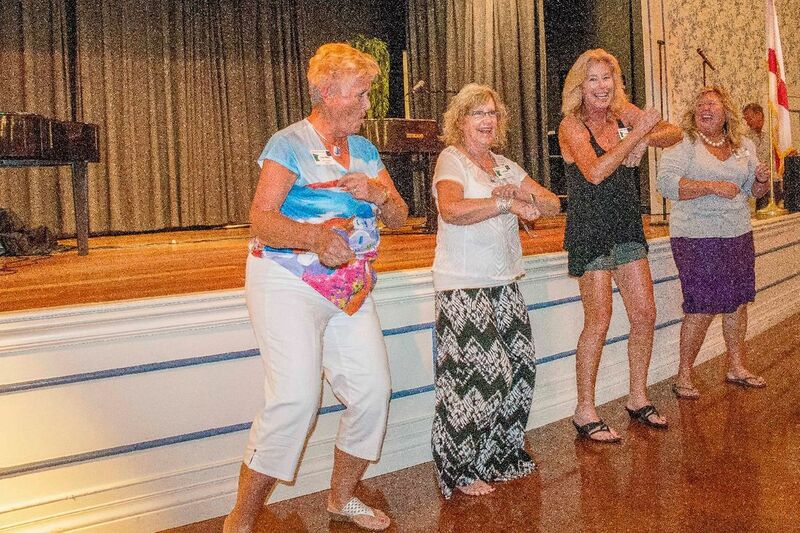 Our second annual season ending picnic was held at Laurel Manor where we took over the pavilion, the bocce, horseshoe, shuffleboard, and pickleball courts. 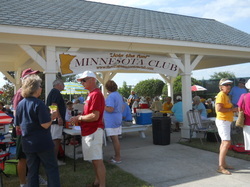 We had a great turnout of 184 Minnesotans who all had a marvelous time. Shade was at a premium and not a speck of it went unused. We ended the day with a wish for everyone to have a great summer and that we'd see them in the Fall. We repeat that wish to all of you now. Our second annual Sweetheart Ball was an outstanding success. Over 100 enthusiastic club members ate, danced and chatted the night away at Laurel Manor thanks to a wonderful dinner catered by La Hacienda, wonderful music provided by Cool Breeze, and wonderful conversation provided by fellow Minnesotans. A great time was had by all. Our January meeting, on the 17th, featured a fun night of BINGO, BINGO, BINGO. 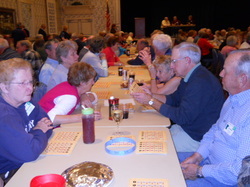 Over 240 members and guests played bingo and shared snacks and drinks and lots of prize money. Another great evening at the Minnesota Club. Our November meeting, on the 15th, was held at Laurel Manor Downs and featured the running of the Minnesota Club Stakes. 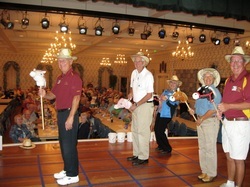 A great time was had by all, especially the big winners who bet on the right horse. 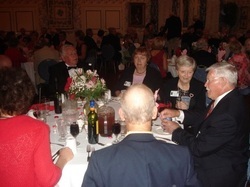 Our third meeting was also our first annual Sweetheart Ball Dinner Dance. 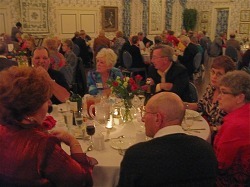 It was a wonderful evening held at Laurel Manor with a fabulous dinner hosted by LaHacienda and music by 'Cool Breeze'. Everyone agreed that it was a great evening. 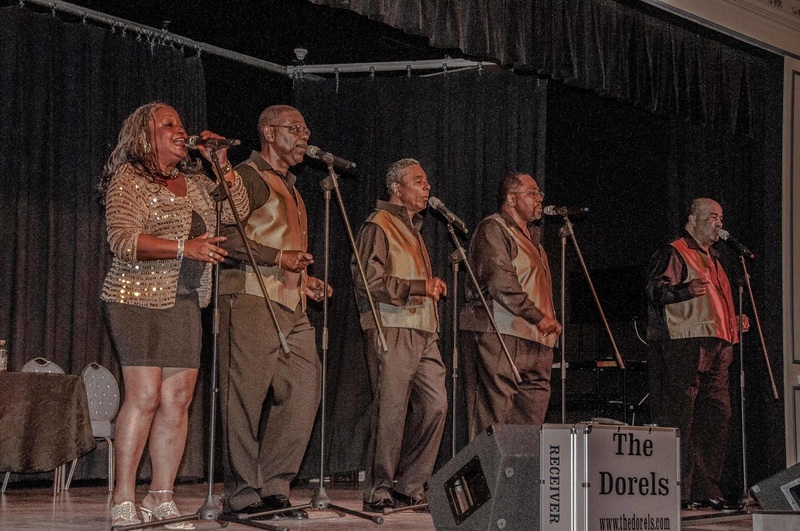 Here's 'Cool Breeze' playing for us as we danced and ate the night away. Someone messed up. No pictures were taken of our wildly successful second meeting. 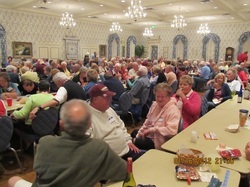 We had a Cash Bingo night at our new meeting place, Laurel Manor. We now can host 250 people. Yahoo. Of course, we realized later that we now had over 330 members. What do we do if everyone shows up? Here's a photo taken at our first meeting on December 7 at the Churchill Recreation Center. We had a fantastic turnout of over 150 people and had to turn some people away as our room only held 150. It was an organizational meeting where we just got to know each other a little bit. We're going to need a bigger room for sure.